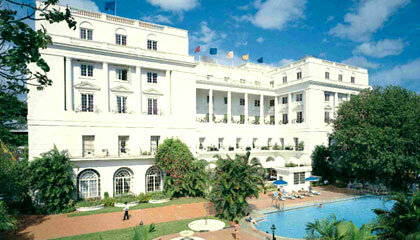 ITC Windsor is located in the downtown of the city. ITC Windsor is one of the leading luxury hotels of Bangalore that offers the perfect blend of traditional ambiance and global services. Set amidst a tranquil and charming landscape, overlooking the lush greenery of Bangalore Golf Club, the hotel extends an amazing hideout for its classy guests. The hotel is comprised of a grand white architecture, boasting of Victorian decor and colonial ambiance that make it a perfect place to stay. Committed to offer an exceptional experience that goes beyond the expectations of even the sophisticated travelers, the hotel features world-class accommodation, super dining and wining venues, most-modern conference & banqueting facilities, exceptional wellness and recreational center and much more. 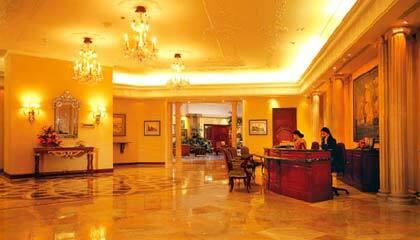 In succinct, ITC Windsor serves as an oasis of lavish comfort and serenity for business as well as leisure visitors. 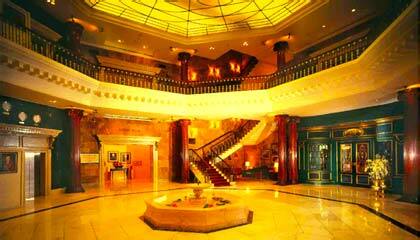 The hotel consists 240 luxurious, well-appointed rooms, including Presidential Suite, Manor Suite, The Towers, Manor Rooms, and Executive Club. 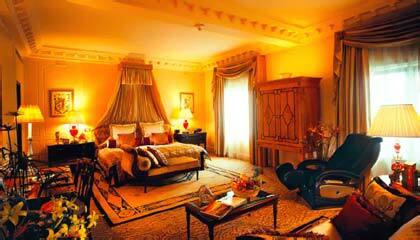 Each room & suite is equipped with modern amenities and services for a relaxing stay. 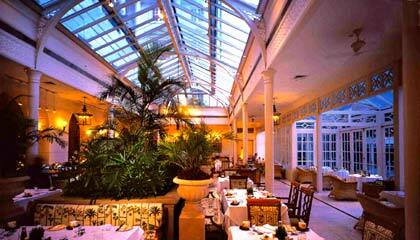 The Raj Pavilion: A restaurant serving a range of delectable cuisines. 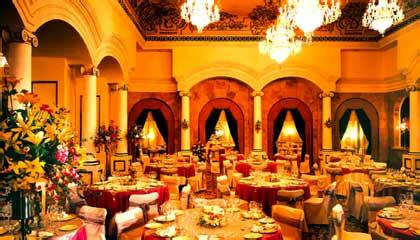 Dum Pukht Jolly Nabobs: Enjoy the distinctive flavors of North Indian cuisines. 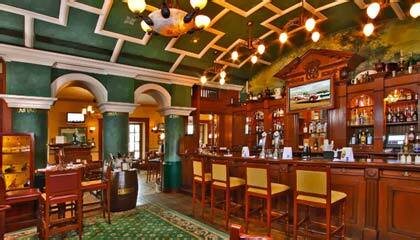 Dublin: A lavish bar offering exotic drinks and European delicacies. Royal Afghan: Dig into appetizing food from North West Frontier. Dakshin: Devour authentic South Indian cuisine.